The Kalamazoo Psychiatric Hospital. This hospital was founded in 1859 in Kalamazoo, Michigan. 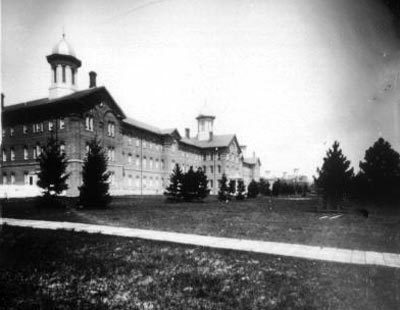 It was originally called the Michigan Asylum for the Insane however the name was changed shortly thereafter. 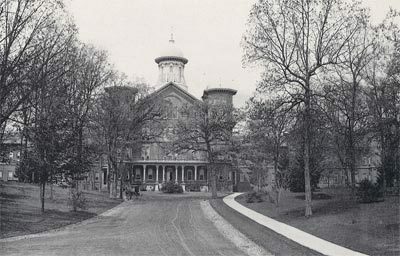 Plans for the insane asylum began in 1848 and the two original buildings were called the Kirkbride buildings, one building for the men and one for the women. The majority of the original buildings have been demolished and replaced by more aesthetically pleasing architecture. 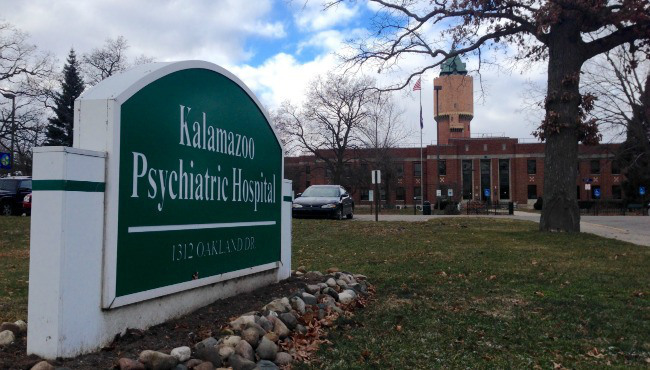 The Kalamazoo Psychiatric Hospital is still the largest in Michigan. Malcolm X was many things: a political figure, civil rights leader, author, Muslim, husband, and a father. Everything he became was shaped by where he came from, and where Malcolm came from was greatly shaped by his mothers’ admission to the Kalamazoo State Mental Hospital in 1938. After the murder of Malcolm’s father –Earl Little- Malcolm’s’ mother Louise Little had to figure out a way to support four children, this task is difficult enough in 2015, the struggle was greatly amplified living in a time of rampant racism, and discrimination. Her mental unraveling began with the murder of her husband by the Black Legion, and the burning down of her home in Lansing, Michigan. After Earl Little’s murder the local life insurance company denied Louise the payout because they ruled her husband’s death a suicide. It was all down-hill from this point because Louise knew that unless she had a spouse, a man to ease the financial load she would not be able to support her children. She eventually found a man but he disappeared a year into their relationship Malcolm theorized that “he finally backed away from taking on the responsibility of those eight mouths to feed. He was afraid of so many us” (Malcolm/Haley 23). If a grown man didn’t even want the responsibility of supporting those children, it would be just as difficult for Louise Little, if not more so because of the time period. She did her best to try and support her children, since she was from the British West Indies and had a white father she could pass for a white woman a lot of time. Passing as a white woman opened up certain job opportunities, but she would end up being fired or quitting. The state soon began making visits to her home, and found “sufficient” evidence to suggest she could not handle the task of caring for her children, and they were placed one by one after she had her “complete mental breakdown” (Malcolm/Haley 25). A young Malcom saw the way his mother was struggling and it taught him to steal, hunt rabbits, and simply make things happen for yourself. All of these actions seem to be foreshadowing for the way Malcom learned to survive on the streets of Harlem, Detroit, and Boston. Malcom visited his mother a few times, while in the care of the Swerlins, and while at the detention home. His visits decreased in number throughout his childhood, because he could not really stand to see his mother in that condition, and thought she was beyond saving. After a while, Malcolm lost faith in the family dynamic as well “We children watched our anchor giving way” (Malcolm/Haley 23), so seeing his mother lose her sanity, and seeing the two people who were supposed to protect him taken away so young greatly developed his independence and resilience. We can see this mindset in full effect once Malcolm moves to Boston to be with his sister Ella. It is very apparent in his relationship with Laura. Laura was a good and wholesome girl, but he rejected her when he had an opportunity with a white woman. 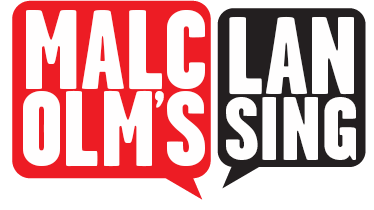 Laura represented the anchor –Malcolm’s mother- that was ripped away from him, and Malcolm didn’t want to deal with that again and it resulted in him drifting all over to the place into various criminal activities. The mental deterioration of Louise Little greatly affected and shaped Malcolm. After he was taken from his mother he was sent to live with a white family, and go to a primarily white school. Despite receiving high marks in school Malcolm was still told by his teacher that he could not really be anything in life. In this portion of Malcolm’s life he learned that hard work does not really pay off in any real way if you are black, and this mindset translated to his behavior in Boston, and Detroit. Also, Malcolm developed a greater resentment for government programs and institutions for what he felt they did to his family “I truly believe that if ever a state social agency destroyed a family, it destroyed ours” (Malcolm/Haley 26). This quote shows the seeds being planted for Malcolm’s rejection of the government and the “social order”. All in all, Louise Little spent twenty-six years in the Kalamazoo Psychiatric Hospital. Malcolm and his brothers arranged for her release in 1963, and reported that she made a near complete mental, and physical recovery. Kalamazoo Psychiatric Hospital. : This is the current design of the Kalamazoo Psychiatric Hospital. The water tower is the only original piece. Female Department of the Michigan Asylum of the Insane. : This is the original female wing which is now torn down. However this is where Louise Little would have stayed. ~ Source: Kalamazoo Public Library. ~ Creator: James P. Craig. Kalamazoo Water Tower. : This water tower is the only part of the original Michigan Asylum for the Insane that is still standing. ~ Source: Kalamazoo Public Library. ~ Creator: James P. Craig. Michigan Asylum for the Insane. : This is a wide view of the majority of the property of the Michigan Asylum of the Insane. The tall isolated tower is the water tower, the only original piece left. ~ Source: Kalamazoo Public Library. ~ Creator: James P. Craig. Darrell Williams , “Kalamazoo Psychiatric Hospital,” Malcolm X in Lansing, accessed April 19, 2019, http://projects.leadr.msu.edu/malcolmxinlansing/items/show/27.